The time for tricks, treats and a little bit of everything in between is quickly approaching, with Halloween coming up this Mon., Oct.31. Several Clark County area cities, schools and organizations offer a variety of activities to children and their families to help celebrate the spooky holiday of Halloween, including trick-or-treating events, carnivals, fall festivals and more. Some events are being held this week, others over the weekend of Oct. 29-30 and some on actual Halloween day, Oct. 31. *If you think there is a Halloween/trick-or-treating event missing from this list that should be included, please feel free to email News@clarkcountytoday.com. Join the Battle Ground Chamber of Commerce and numerous Battle Ground area businesses for the free Battle Ground community 35th annual Halloween Fun Fest on Mon., Oct. 31, 4-6 p.m. This annual Halloween event features trick-or-treating on East Main Street and Fright Night, a free community Halloween party for kids, at the Battle Ground Community Center, located at 912 E. Main St. Come in costume and bring the whole family. When trick-or-treating on East Main Street, make sure to only visit locations that have an orange paper jack-o-lantern in their window. Parents should ensure children do not eat any candy that the wrapper has already been opened or smells and/or looks strange, and only eat homemade goodies from friends and family that you know and trust. Contact the Battle Ground Chamber of Commerce with any questions at (360) 687-1510. Creekside Place, a retirement community at 208 SW 20th Ave., in Battle Ground, is also offering trick-or-treating on Halloween from 4-6 p.m. 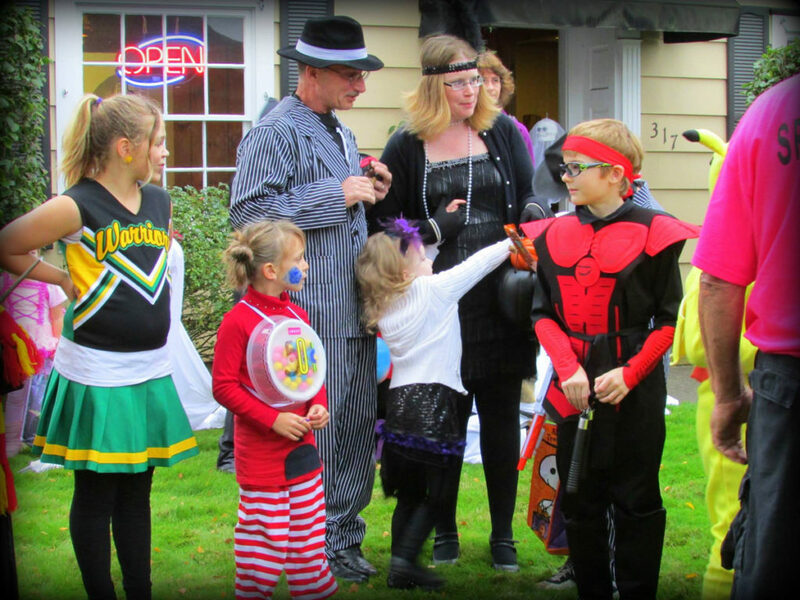 The Downtown Camas Association will host the annual Boo Bash on Wed., Oct. 26, 3-5 p.m., in downtown Camas at Northeast 4th Avenue and adjoining streets. Children can trick-or-treat at participating downtown businesses by looking for the orange Boo Bash signs in the windows. This event is free, and 4th Avenue and side streets will be closed for safety. No bikes, skateboards or scooters will be allowed. Parents must provide supervision when crossing streets with traffic. For more information on this annual event, contact the Downtown Camas Association at (360) 216-7378 or visit www.downtowncamas.com. On Sat., Oct. 29, the Camas Parks & Recreation Department will host its annual Family Halloween Night, 6:30-9 p.m., at Liberty Middle School, 1612 NE Garfield St., in Camas. The entire family is invited for a fun-filled night of carnival games, all of which area designed for children ages 2-12, and prizes. Other activities will include a costume contest, bingo, inflatable games, caricature drawings and crafts. All children attending must be accompanied by an adult. Attendees are asked to bring two cans of food or a new, unwrapped toy to benefit the Inter-Faith Treasure House in order to be eligible for the evening’s raffle. For more information on this event, contact the Camas Parks & Recreation Department at (360) 834-5307. Frightland at La Center Farms will be available to the public on Fri., Oct. 28 and Sat., Oct. 29, 6-9 p.m., at 31215 NE 40th Ave., in La Center. Frightland is designed for children ages 8 and older, and includes the Rigor O Mortis Funeral Home where visitors can watch free movies and grab a snack at the Donner Party Cafe; Nightmare Theater, which starts out with a haunted maze that leads into the theater and then showcases live actors who present a wild mix of comedy and horror, with performances every 30 minutes; and the Haunted Woods Maze, a venture through five acres of “Haunted Woods” as you escape from the creatures that lurk within. Everything is included for an admission fee of $6 for adults, $4 for children 12 and younger and $18 for a family of four. For additional details, call (360) 573-8965. A Harvest Festival will also be held at the La Center Community Library on Thu., Oct. 27, 3:15-5:15 p.m., at 1411 NE Lockwood Creek Road. 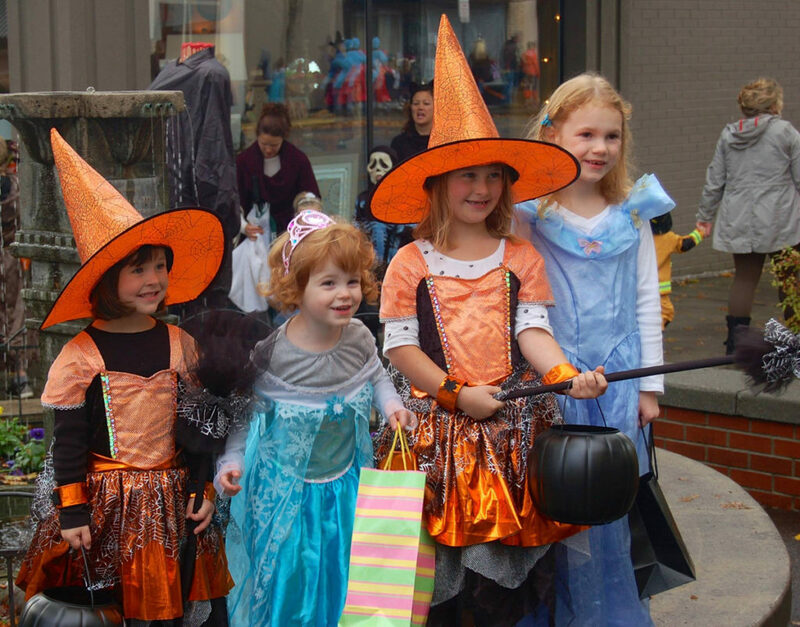 Trick-or-treating in downtown Ridgefield will be held on Mon., Oct. 31, from 3-5 p.m. Downtown businesses will be ready with candy for trick-or-treaters. The customers in costume who are able to remain unidentified and unrecognizable until the end of the night will compete for a $200 gift certificate. All evening, guests can enjoy a variety of food and rinks designed to look scary and taste good. BOOtacular Trick-or-Treating at Vancouver Mall will be held Mon., Oct. 31, 5-7 p.m., at 8700 NE Vancouver Mall Drive. Children 12 and younger are invited to come to the mall dressed in their favorite Halloween costumes to trick-or-treat at participating stores, while supplies last. For additional information and rules for this event, visit the event Facebook page. There will be plenty of tricks and treats on Halloween night in the yard of Jim and Ceci Mains, 4616 NW Franklin St., in Vancouver. On Halloween night, Mon., Oct. 31, take the family by for tricks and treats from 6-9 p.m. “Live” and “not-so-live” creatures will be out in the yard dressed up in frightening and fun costumes. The first 300 visitors will receive a full-size candy bar; there will even be treats for parents. Mains has been decorating his childhood home for more than 30 years. Visitors to the home will find life-size witches, a brewing cauldron, skeletons walking in a cemetery, cobwebs, frightening figures and two life-size skeletons on the roof with video effects. Special-effect lighting, video, holograms and Halloween tunes will be on each night until Halloween. The city of Washougal will host the Scary Run on Sun., Oct. 30, with a 5K and 10K both beginning at 9 a.m. The race will start at Reflection Plaza at Main Street and Pendleton in downtown Washougal. Costumes are optional, but are encouraged. For more information about the Scary Run, visit the event website. The Washougal High School Haunted Theater is back this year, ready to scare with the theme “What Are YOU Afraid Of?” This year’s Haunted Theater will play off of phobias and fears. At the Haunted Theater, there will be a kids’ haunt on Fri., Oct. 28, 5-7 p.m., that will be a bit more gentle, with more lights and toning down of the gore and jump scares. Admission is $3 per person. From 8-11 p.m. on Oct. 28 and from 7-11 p.m. on Sat., Oct. 29, the full experience will be open. There is no age limit for the full haunted house, but it will be scary. Admission is $5 for the first time through and $3 for return trips on the same day. Washougal High School is located at 1201 39th St., in Washougal. Trick-or-treating in downtown Woodland will be held Mon., Oct. 31, 3-5 p.m. Bring your children and walk the safe route and get some candy for you and your group. Businesses that are participating and have candy will have a special sign on their door/window. For more information, contact the Woodland Chamber of Commerce at (360) 225-9552. Also in Woodland, at the Cedar Creek Grist Mill, Sat., Oct. 29 is Apple Cider Pressing Day. The event will begin at 9 a.m. and will continue until all 8,000 pounds are finished. Come and help press as much cider as you’d like. The Cedar Creek Grist Mill is located at 43907 NE Grist Mill Road, Woodland. For more information, visit the Grist Mill website. A Harvest Festival will be held on Halloween on Mon., Oct. 31, 6-8:30 p.m., at Yacolt Community Church, 509 W. Cushman St., Yacolt. Many homes throughout Yacolt will have candy available for trick-or-treaters. Several homes will also be placing “teal pumpkins” out for kids with food allergies to select a prize from. For more information, contact the town of Yacolt at (360) 686-3922. 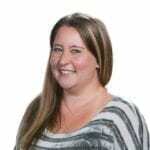 Joanna Nicole Yorke is a 2010 graduate of the Edward R. Murrow School of Communication at Washington State University in Pullman. She has a bachelor's degree in journalism with a minor in political science. Yorke is a Clark County native, growing up on her family's 12-acre farm in La Center where her family still resides today. She was previously a reporter at The Reflector Newspaper, covering the city of Battle Ground, the Battle Ground School District and a variety of other areas and topics.